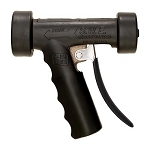 Streamline model S-151 Bronze Series Spray Nozzles are designed and constructed to withstand the daily demand and severe service conditions that exist in large industrial food processing environments. 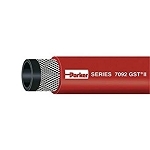 Its bronze and stainless steel construction ensure reliable performance and extended product life. 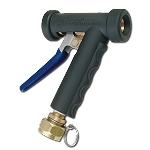 It features a variable spray pattern that adjusts from a soft spray to a solid stream simply by depressing the lever. You are assured of drip-tight shutoff upon release of the lever. 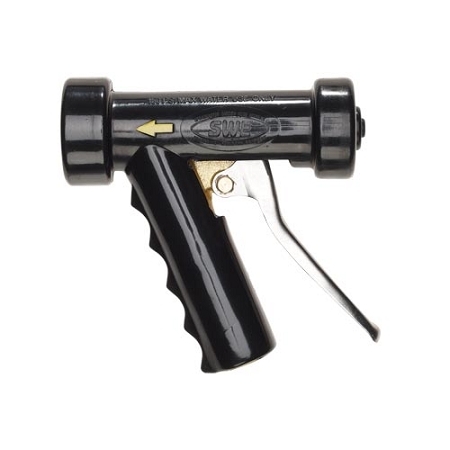 The rear mounted lever helps to ease operation during extended periods of use and reduces finger cramping.